So many things do to before this trip. Last evening and night, I was occupied for many hours with the functionality on my blog. Its driven by WordPress, and in the theme twenty seventeen (design and layot) someone thought it was a good idea to hide the Sidebar on my Pages. Meaning when you visit the top links on my site, under the top photo, you cant find the menu bar to the left. And you will have difficulties navigating and find my recent Posts. I hope I can sort this out this afternoon. Thanks to Bharat Karavadra at karavadra.net who informed me, and thanks to Binero who hosts my site and help me get going. Update: Thanks to Joachim Jensen in Denmark, my menu works as it should. He answered me quickly and he had created a tiny plugin called Page Sidebar for Twenty Seventeen, which does all the work. What is to be fixed before I leave? Everything that makes me have a peace of mind for a month. Things that is better to solve at home, rather than when Im on the go. Then some quiet time to mediate on whats ahead. We never walk along so I need to listen to what the Lord might have to say. That is for tomorrow, today its a long to-do-list. 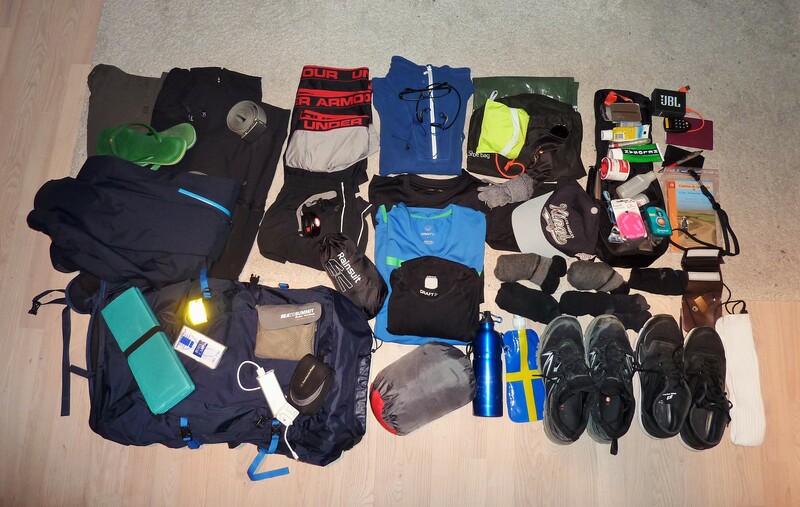 On the photo below you can see what I packed the last time I went hiking. Packing is the easy task this time since I have everything already. This time though, on this trip, I hope to update my new blog every day. And Im also bringing my DJI Osmo Mobile, which is kind of a selfiestick. That gimbal limits the shakiness that occurs when you film with a mobile, specially while walking. It can also make motion time lapses, something I havent tried yet since its brand new. Today I also managed to upload some photos from my previous 2 weeks on el Camino. Then I walked from St Jean Pied de Port close to the city Biarritz, located on the french side of the mountain area of the Pyrenees, and stopped at the village of Castrojeriz, west of the city Burgos. That section was about 330 km. 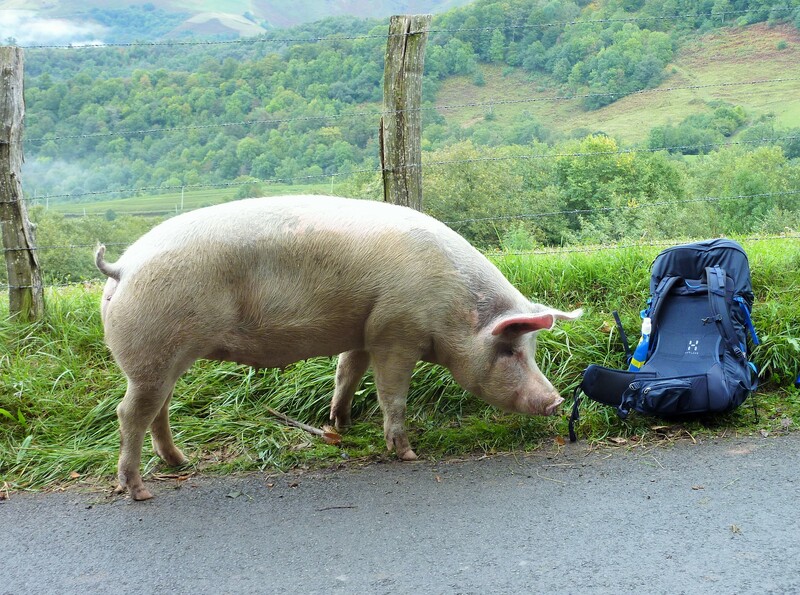 Click on the photo below with the the curious pig and my bag, and you will move to the Photo page with more photos.